Sub-Pop Singles Collection 7", Nall, accessed April 27, 2014. Have I mentioned that Caliclimber is amazing and that his Flickr page provided the album art? Thanks also to Thomas Fidler (Drumhax on the forums) for correcting the lyrics in Store. From 1988 to 1993, and then again from 1998 to 2002, the Seattle-based Sub Pop label operated the Sub Pop Singles Club, a subscription-based vinyl collection club in which members would receive monthly limited-press 7" 45 RPM singles. The Mountain Goats participated in November 2001. 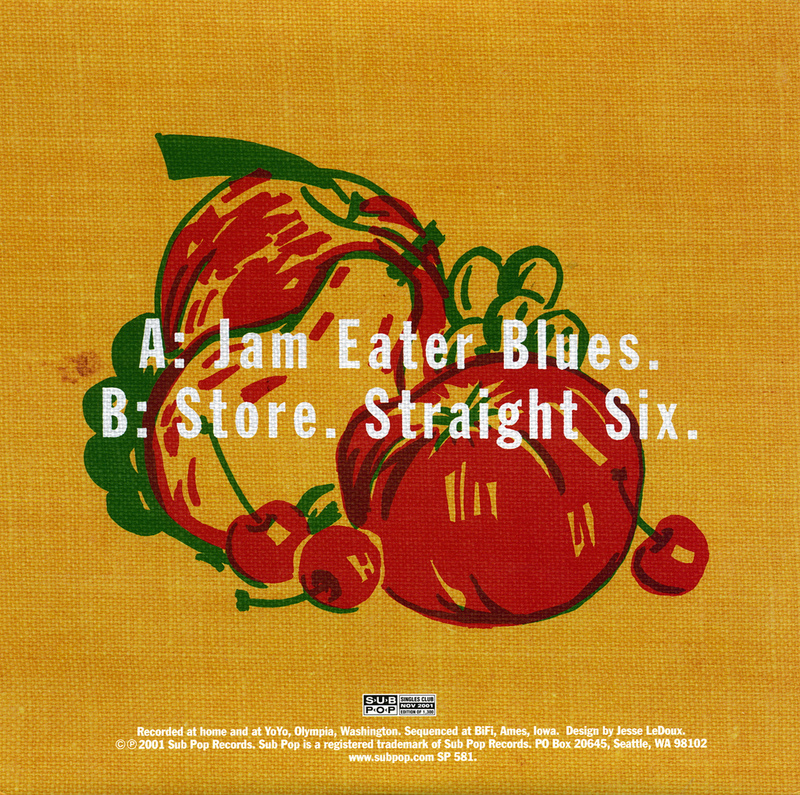 The single is officially unnamed, and so goes by the names Sub Pop Singles Collection V2 #44, its catalog number SP581, its description as Jam Eater Blues b/w Store/Straight Six, or by the drawing on the cover and title of the first song, Jam Eater Blues, as has been done here. Pette, John. 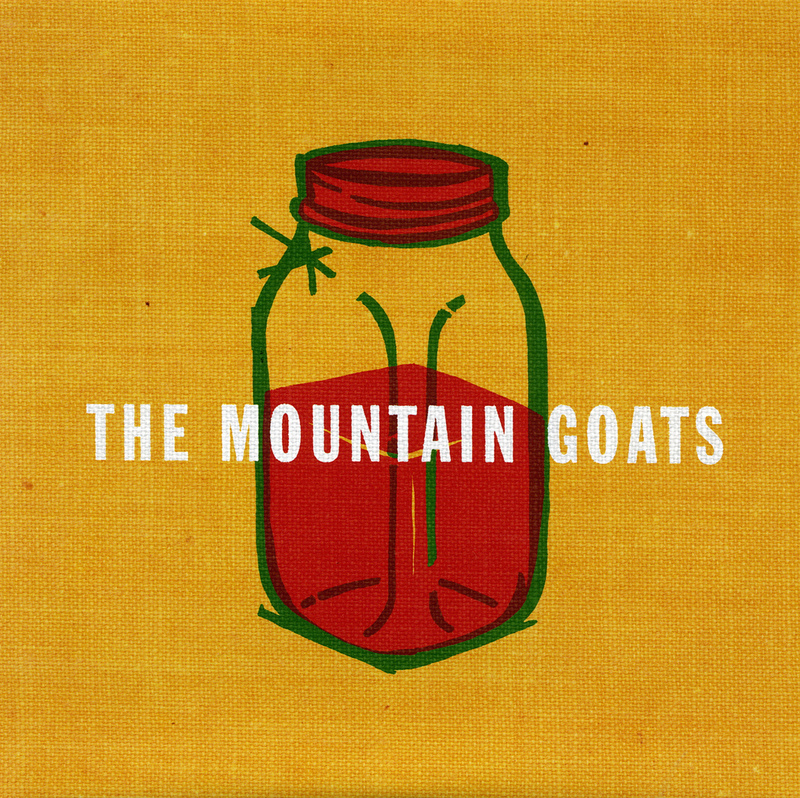 The Mountain Goats - Jam Eater Blues. Retrieved April 27, 2014. The head of the heavenly chorus could thus refer to the highest ranking angel or to the leader of a literal choir of angels. Both of these could describe Lucifer, who often considered to be the highest angel prior to his rebellion, and is also sometimes interpreted to have lead the angels in song. However, this allusion could be unintended, and the narrator sees his friend not as Satanic, but as the leader of a beautiful, angelic choir. Confirmed to be the same Jenny in the song Jenny, Night Light, and other songs. I Only Listen to the Mountain Goats, season 1, episode 4: Jenny; November 9, 2017.